When configuring the 3D cells of head walls for use in SUDA, there are some required construction points to be created in the cell. 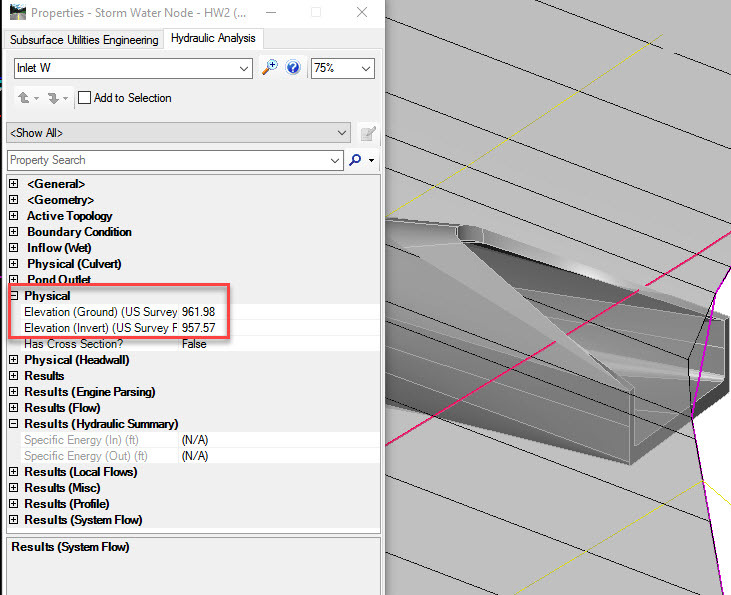 Alignment Point – a point of construction class and line style of 3 is used to align the 3D cell with the 2D cell used for plan view presentation. 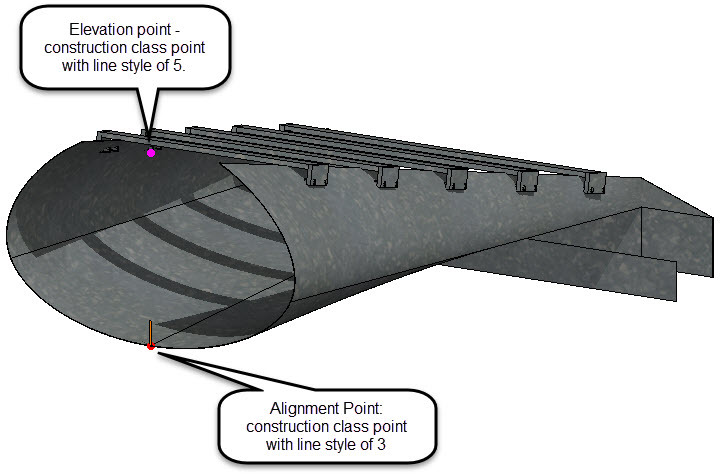 Elevation Point – point of construction class and line style of 5 is used to define the elevation point of the head wall. Traditionally, these points have been collocated in the 3D cell and placed at the flow line. This was based on the assumption that “top elevation” had limited meaning for a head wall. However, a better practice is to place the Elevation point at the location on the head wall where the ground surface (existing or proposed) would intersect the head wall. 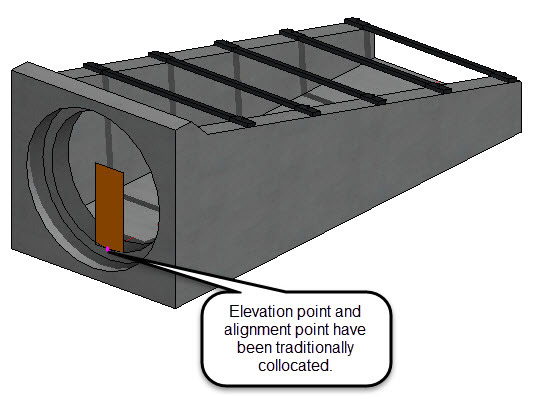 When placing the head wall, the elevation point will be assumed to lie on the selected surface and the flow line elevation will be thus be automatically determined. When reviewing properties or reports of the head wall, both the surface elevation and flow line elevation will be reported. Contact us if you need assistance creating your own 3D cell libraries for SUDA.